You can never know what to expect when going into a festival for the first time, immediately I felt like I belonged at Envision. The art, production, the crew, the vibes, and the people. Everyone was so polite and open with each other, loving and accepting to all that was the beauty of Envision Festival. The exact meaning of Envision and to what the festival stands for is to open the hearts and minds to giving us a collective vision bigger than ourselves and to work towards and build together as one. Envision stands for the 8 pillars which are; Permaculture, Spiritually, Movement, Art, Music, Community, Health, ECO Building. 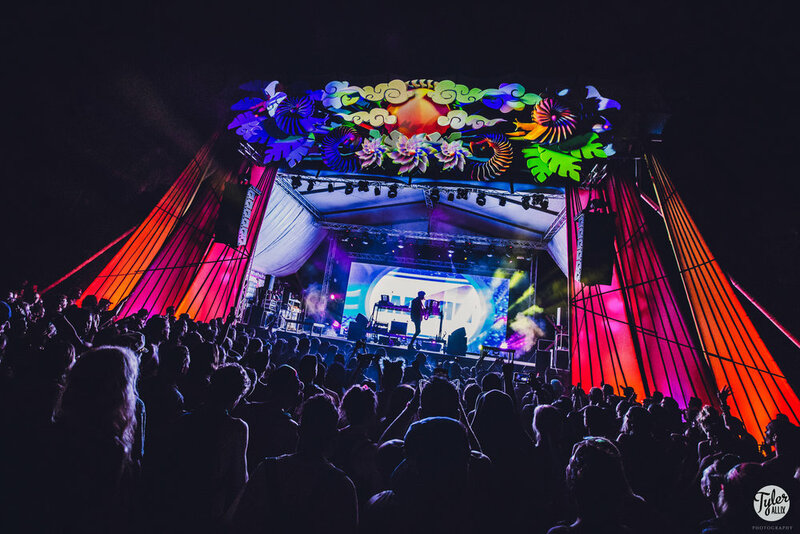 Each all play a purpose in creating Envision having the greatest experience at a festival. Envision’s location takes place in the “Southern Zone” of the Pacific Coast of Costa Rica. A truly magical place where the rainforest mountains meet the warm Pacific ocean. It’s an exotic paradise boasting a wealth of adventure and exploration with jungles and warm ocean waters and perfect surfing waves. The people in Costa Rica are gracious and friendly, making it easy to get around, find what you need, and experience the local culture, Pura Vida! It’s one thing to research the festival but its a completely another level it's actually being part of the cultural way of the life at Envision is only something you can along within reading more of physically being a part of it is next year’s Envision Festival. It’s been a few weeks since the 2019 edition of Envision Festival in Costa Rica and it feels like I am still there, keep reliving moments through photos and videos wishing that I was there in the tropical paradise. Envision opened new realms of music, discovered so many new artists. Envision is the festival to discover all different artists, out of all the festival covered it was Envision that opened to realms in dance music. Discover Envision to what it stands for completely awaken everything inside, the spirit, and soul as well as my entire outlook on life and the universe. Envision opened up my third eye, after Envision I see life and the universe in a whole new light. The cleanest festival in the world, besides the people and natural souls surrounding each other. Everywhere is so clean the food, the ground, water, not the people but yeah we are all in a jungle together so do you expect. Another unique thing about Envision is that you are able to surf the big beautiful waves of Costa Rica. Surfboards everywhere near the Luna stage, near the beach entrance. Yes, besides being in the jungle for 5 days attendees are able to have access to the breathtaking beaches of Costa Rica. Where locals are able to set up their own vendors with food, beer, and crafts. Envision Festival is more than a event is a community where everyone is welcome, different walks of life and children with their families. It was a giant community filled with beautiful souls, people, and love. It was so simple and easy to get caught up and meeting new people, making new connections. An eight-year-old girl said she was coming to Envision Festival for 5 years, do the math her mother has been bringing her since she was 3 years old, completely in shock and blown away. There is something for everyone at Envision Festival. Each day the music was better and better, each day the music was next level. Fascinated by how everyone came together to build these magical and breathtaking stages. The performers were completely next level in an entire art form of dancing. Girls spinning in the air, people fire dancing, and throughout the crowds, and tribal dances as well. Watching the incredible production of lights, pyrotech, and stage structures, and the performing dancers all come together it was such a beautiful and magical sight. All dancing together in the vast mystical jungle filled with love and acceptance by everyone the emotions got overwhelming at some point. Arriving a bit late in the night due from being stuck at the breathtaking villa I was staying at, the first day was a whirlwind of discovering what I’ve been missing out in life. Connecting with new people and making new friends, we had access to the VIP Cabanas where you can get a view of the Luna Stage perfectly. Also having access to the VIP lounge closer to the Luna Stage, where there were swings and a private bar which was very convenient. The night was filled with exciting discoveries such as workshops and witnessing chants around the fire. Seeing everyone together connecting to one another was such a beautiful sight to see. The first night was dedicated to Radical Acceptance and Community, two of the parts of Envision’s foundation. Making incredible connections with people who work for Envision, industry and the people of Envision. Learning about Permaculture was wonderful, discovering the core of what Envision stands for as well as Costa Rica. It was incredible seeing everyone comply and treat the environment with respect. People bringing their own water bottles and canteens, people throwing away their cigarette butts in the garbage or keeping their cigarette butts in a bag to throw out later. Envision had also had the dish and cup vouchers when ordering food or a drink you have to pay for it when are finished with the drink or meal you go to the kitchen area to return the dish or cup to get your voucher. Next time you buy another meal or drink you give the voucher so you won’t have to pay for the next cup or dish. All the food at Envision was delicious the best food at a festival, so fresh and organic. Everything made with the freshest ingredients and with love. The tummy full with the mouth-melting steak quesadilla, now it was time for Movement another pillar of Envision. Moving your body to chore through the rhythm of the music. As the sun was rising on the beach, there were tears falling down from the impeccable beauty I was witnessing. The entire night I was filled with meeting beautiful people with the purest souls, seeing what Envision Festival had to offer. As I watched my first sunrise on the beach for Envision festival, it was the most beautiful sighting possible. I’ve been to many sunrises during a festival and some on a beach in different countries but being surround by friends and the most positive vibes knowing that you had a purpose for being on this earth sharing this moment along with everyone else it was on a spiritual connection. Being there experiencing this beautiful moment brought tears to my eyes. Returning back to Envision after having my goddess reset at the villa I was staying at. The media tent was the perfect meeting spot to connect with other friends within the industry as well as meeting up with other friends throughout the festival. The media tent had WiFi so it made it a little easier to connect, even though it was a blessing to disconnect with from technology and the world. The only time when using the phone was the take photos and videos the records some memories. Over at the Lapa stage duo, Klik and Frik were performing, a new artist discovery will fall into this category. Giving an unbelievable breathtaking stunning experience with their melodic chords and bass drops. Their light up masks and matching outfits was enlightening to see for the first time. Seeing them being so in-tuned and unison with each other it was an unbelievable sighting to witness. The Luna stage was where Electric Mantis performed, another artist discovery. Hearing him for the first time was an incredible experience. Different levels of bass music perfectly sound-tracked to the mood of the night. Along with the unbelievable sound system and production, Electric Mantis was one of the most fun set that was witnessed at Envision Festival. It was now time for headliner Tycho with DJ set. It was the first time seeing Tycho perform, it truly was an experience. Hearing all forms of bass along with the pyrotech and people dancing together, making connections with new friends as well. As night-fall turns into daylight, the next day of the journey continues at Envision Festival. 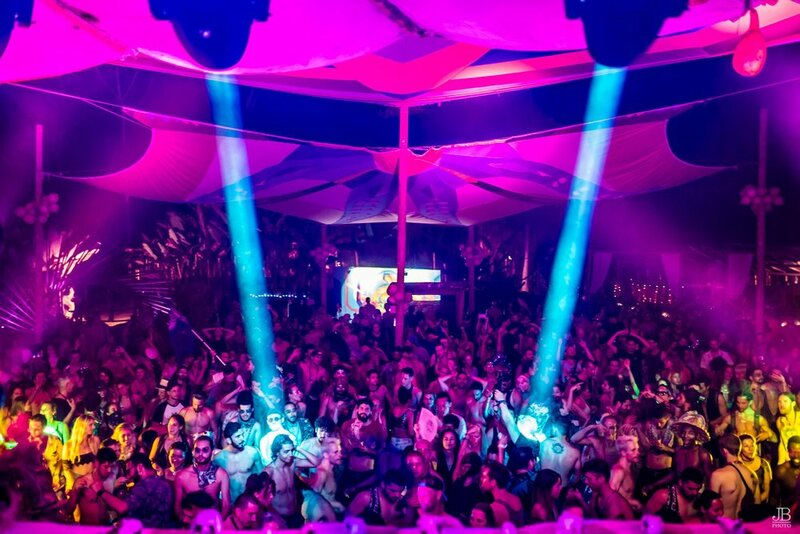 The Lapa stage was where All Day I Dream creator, Lee Burridge played his sunrise closing set. Having the opportunity to be on stage with artist and friend, Lee Burridge overlooking the crowd with the soundtrack of the best tunes. Seeing everyone moving to the music as one, Lee Burridge couldn’t get enough of the vibes and energy flowing through the air. The sun was rising over the crowd and everyone was still dancing and cheering for Lee. The set was almost over, people were yelling “one more song! One more song”. As for his finale, he dropped Beatport's #1 track by Sébastien Léger - Lanarka. Once that was played everyone cheered for approval as well as my friend screaming thank you at Lee Burridge as he turns around with satisfaction. It was one of the best moments at Envision Festival. After a nice long nap at the villa, we arrived back to Envision Festival. It was the first time trying and discovering Cacao, and I loved it. Guatemala as the birthplace of chocolate with the Mayans worshiping the cacao tree and calling chocolate the “food of the gods”. This ancient civilization also revered chocolate for its aphrodisiac qualities, with Montezuma apparently consuming absurd amounts of the food to enhance his sexual stamina. Drinking it for the first time sent waves through my entire body after finishing it, feeling its power and gave me energy for the rest of the night. This day was dedicated to Music, Health, and Spiritually, this was the day when my third opened seeing the world for what it really is. After making an incredible bond with a friend, she taught me about the Universe and how it does work in mysterious ways. Witnessing about if you ask for help the Universe will listen if you just believe. After practicing breathing exercises and yoga moves, tears came streaming down my face, a burst of relief and enlightenment shot through me like a bolt of lighting. Then there was no anxiety, no stress, only freedom from the life I once lived. Seeing the world for what it really is and having the power to use my spiritual tools in life back at home. The Lapa stage was the place to be at Envision that night. Latin artist Nicola Cruz was performing, the entire time and even before Envision, people said to be at Nicola’s set. The mood was perfect and surrounded by Burners and their vibes. We were all dancing together like one giant family feeling all the energy in the air and moving to beat of the music. Nicola’s soulful set made everyone dance uncontrollably. The music made me one with the Earth as I kick off my shoes and danced my feet into the dirt. Moving to the rhythm of the music from Nicola Cruz, a beautiful moment that will be cherished forever. Sabo was another artist discovery, at Envision. His mixture of tropical poly-rhythms, warm bass frequencies, rich percussion, lush tribal vocals, and smooth organic textures made it a mesmerizing set. Hearing those chords in the jungle at Envision and dancing with everyone touched everyone’s hearts including mine. It was honestly one of the best sets at Envision festival, experience and discover a new artist for myself which falls under the Music pillar. It was difficult leaving the Luna stage that night, discovering new tribal house artists such as Sabo. His tribal, melodic wholesome vibes and natural sounding tunes brought me to another realm in life. Bedouin was another favorite during the festival the Brooklyn duo brought it to a whole new level, what the air and the vibes at Envision? The fact of the matter is that Bedouin was absolutely stunning. As the sun was rising it was time to relax on the beach with the crew, taking pictures with everyone becoming a huge family and making new memories. Diving into the ocean was delicious, after a night of uncontrollable dancing. The final day of a festival is always the most difficult, barely slept, poor diet, and sore muscles, plus knowing in the back of the mind all the responsibilities you must do such as packing and making the flight back home, unfortunately. At the beginning of the final day of Envision was some light shopping such as merchandise and other memorabilia. Trying more delicious foods such as an organic burger with fries across there was a craft beer stand. Checking out other vendors and spots I didn’t see before such as the tea lounge. From all the dancing the last few days it was even difficult to walk around, luckily I was able to rest in the VIP Cabanas to gain more energy. By the time I woke up, it was time for Tycho’s live closing sunrise set at the Luna stage. Knowing that Envision will close another chapter in another successfully beautiful festival that has captured many hearts around the world and now mine. To complete the final thing to do at Envision was see the sunrise on the beach, to get that one last of nature’s beauty in the world. Envision Festival has made a huge impact in my personal life for the greatest, using the 8 pillars in everyday life and seeing how the universe works in motion. Envision festival “awaken the self to a high consciousness in alignment with natural harmony.” Trusting the Universe the power it holds, sending and feeling positive energy to everyone in my life and complete strangers. Seeing so much beauty in the world, Envision taught me how to give back everyone even if you don’t know the person. Being positive all the time, even if times get tough staying positive is the key answer in life. Going about everyday life is much simpler, always being bright with a huge smile. Envision has opened new chapters and doors in my life and cannot wait to begin. It will be a lifelong tradition on going back to Envision each and every year. See you all next year.